In order to cater the diversified demands of our clients, we have been able to provide a unique range of Coin Control PCB Board. 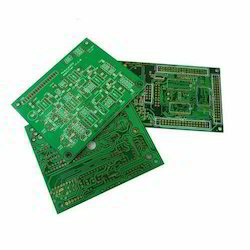 Owing to the presence of our expert team members, we have been able to offer a wide range of Printed Circuit Board. These can be availed in various range and technical specifications. Owing to its precise design and accurate dimensions, these products are extensively demanded by various numbers of clients. Backed by our expert and experienced professionals, we provide Printhead UMC Board. 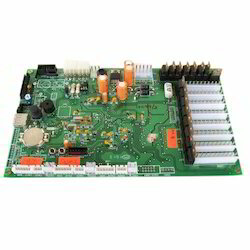 Our company holds vast experience in this domain and is involved in offering Remote Switch PCB. We bring forth vast industrial experience and expertise in this business, involved in offering a high-quality range of 14.8V PCB BMS Board. Being a well-renowned entity, we are engaged in providing a distinguished range of PCB Assembly Circuit Board. SMPS PCB are designed and developed in accordance with national market trend and keeping in mind the precise demands of clients. Our company is highly esteemed in offering Multilayer Printed Circuit Board.